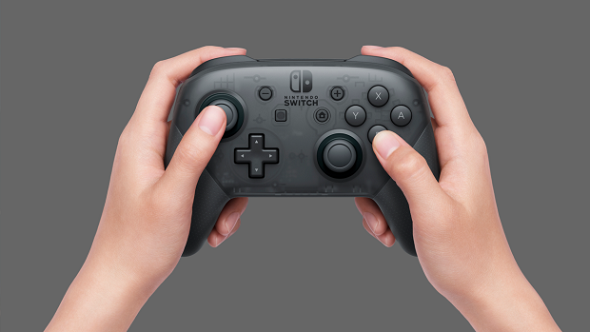 If you fancy a change, you’ll be able to use the Nintendo Switch Pro controller with your PC, assuming you’re picking up Nintendo’s new tablet/console hybrid at launch. If you don’t fancy the Switch, check out our list of the best PC controllers. The best thing is, you can set it up over bluetooth and it’ll just work, assuming your PC has bluetooth. The only caveat is that you can’t USB charge while you’re playing. As you can see above, the person who figured it out even played some Super Smash Bros. Melee on the GameCube’s Dolphin emulator. Obviously that’s not something Nintendo or the law would approve of. The pad does lack analogue triggers, however, so it might not be the Xbox One controller replacement you were looking for.